This week in Cannabis: A black market dealer from Winnipeg is the first to be convicted of possession with intent to sell since Canada legalized cannabis, some of Ontario’s private cannabis retailers are now open, but not all of them are accessible to people with limited mobility. The first conviction under the new Cannabis Act for cannabis possession over 30 grams with intent to distribute sentenced a Winnipeg man to ten months in prison for possession with intent to sell. Rodney Clayton Felix was arrested in Nov. 2018, just a month after legalization, carrying 86.3 grams of cannabis along with a scale and plastic bags and multiple cell phones in a Winnipeg mall. 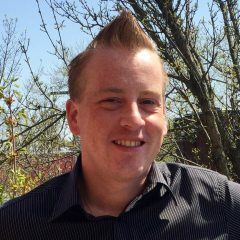 Felix, who had been previously convicted of trafficking both cannabis and cocaine, spent six months in jail awaiting sentencing and will serve three more, though his lawyer Scott Paler suggested there may be a class-based double-standard at work in his punishment. When Ontario’s first adult-use cannabis stores opened on Monday, several were missing something many cannabis users desperately need: accessibility ramps. 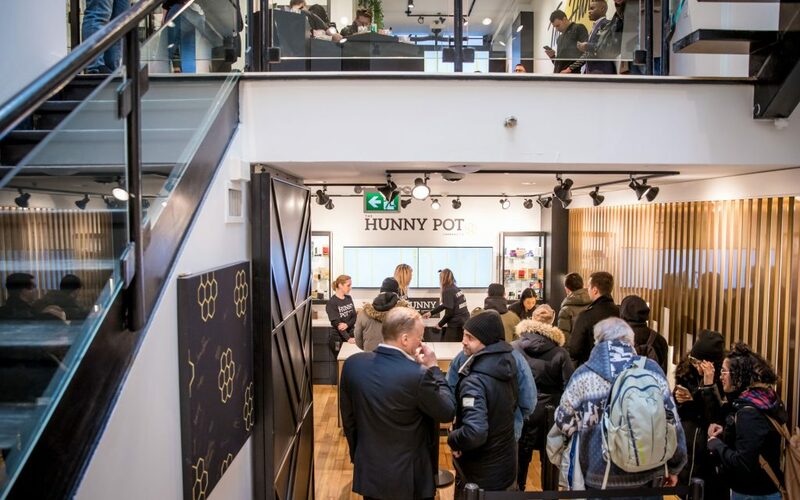 Toronto’s Hunny Pot, the only store to be ready to open in Toronto on April 1, was not accessible to wheelchairs, scooters, and other wheel-assisted devices. For Ottawans who know the ByWard Market as an evening cesspool of university-student bars, strip clubs, public intoxication and vomiting, and brawls involving raccoons, this complaint rang ridiculous and won sympathy for Fire & Flower York Cannabis’s owners. 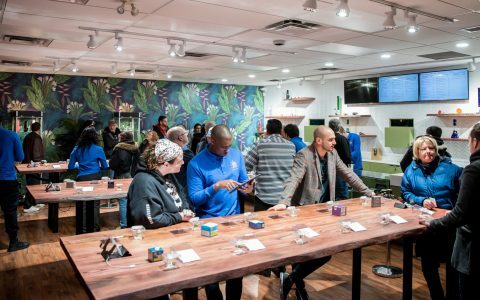 They quickly began shedding public support when Twitter users revealed Fire & Flower’s Ottawa store was not accessible to mobility-reduced members of the up to 50% of the adult-use buying public who buy cannabis for therapeutic purposes. 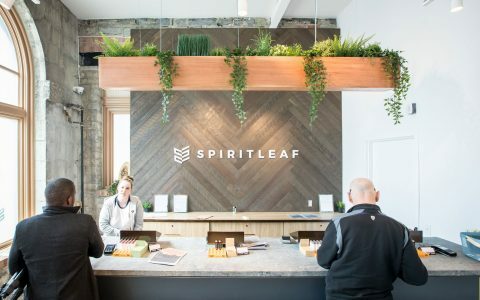 Medical-cannabis activist Sarah Colero asked Fire & Flower why the store was not accessible, to which the company responded, “Our original plans included accessibility considerations, but working in a heritage building comes with a complex set of processes to ensure we respect the integrity of the building and its history. We are working with the municipality to ensure this shop can serve people of all abilities in the near future.” In both cases, the stores in question may be violating Ontario’s accessibility laws. After an initial flurry of approvals and openings on Apr. 1, two more Ontario cannabis stores have received authorization to open from the Alcohol and Gaming Commission of Ontario (AGCO). Joining the 10 already-approved retailers, J. London, in London, ON, and Ameri, in Toronto’s Yorkville neighbourhood, have been cleared by the provincial regulators to commence cannabis sales. Opening dates are still TBA. When: Apr. 6, 10 a.m.-6:30 p.m.
HALIFAX, NS – The East Coast’s leading alt-weekly hosts this all-day series of informative sessions on Apr. 6. Tickets are $40 and include access to all the speaker sessions, a swag bag, and a chance to experience brand activations from 10 Canadian cannabis brands. VANCOUVER, BC – This meditation and cannabis-education workshop on Apr. 7 will cover the basics of cannabis and mindfulness meditation. Participants will be guided through a series of gentle and tender meditation practice focused on breath work and self-awareness. Tickets are $15.